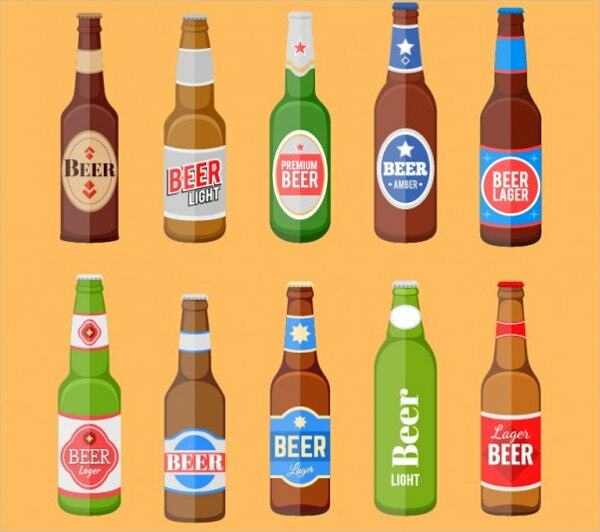 While it is certainly important for a beer to taste good, there is no denying the fact that the packaging design has to be equally good to have an influence on people’s buying decision. Thanks to the ever-increasing popularity of breweries, the design of beer label has become a new canvas for designers and illustrators to work their magic upon. With so many beers competing for attention on the shelves, stand out beer labels have become an integral part of any brewery’s marketing strategy.Here in this post, we are going to discuss a few of such unique and impactful beer label designs which have made a significance difference to a brand’s overall financial health. 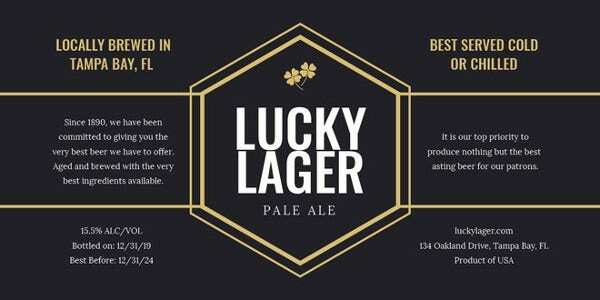 Western Beer Label Design is a beautifully designed beer label design with an attractive design which will definitely capture the buyer’s attention. 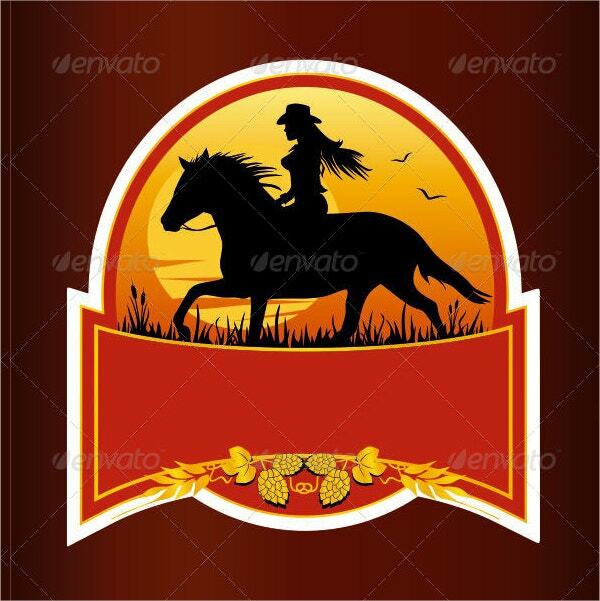 It has a picture of a girl riding a horse and it compliments the beautiful background of a setting sun wonderfully well. 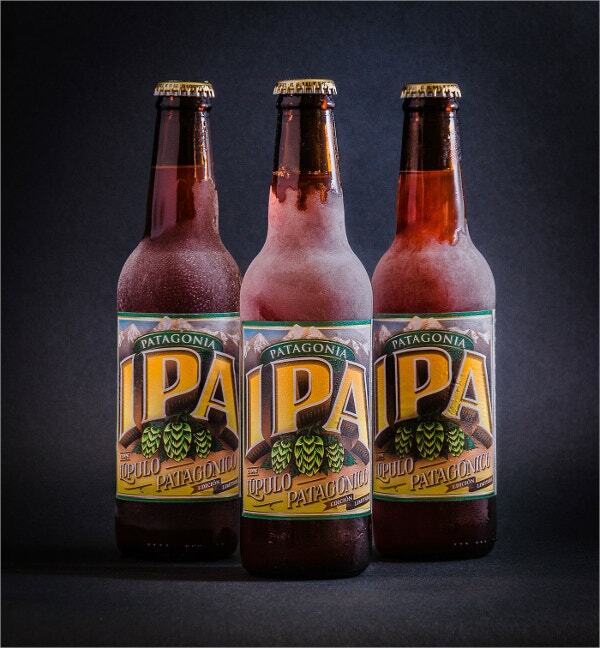 Labels that we see on beer bottles are designed by professionals to ensure that the right information is passed on to the customers in the most appropriate manner that is crisp and short, but complete. Fonts here play a significant role in designing the labels. Creative Colored Beer Label is a perfect example of that. It is a tastefully designed logo that will go with any brand. 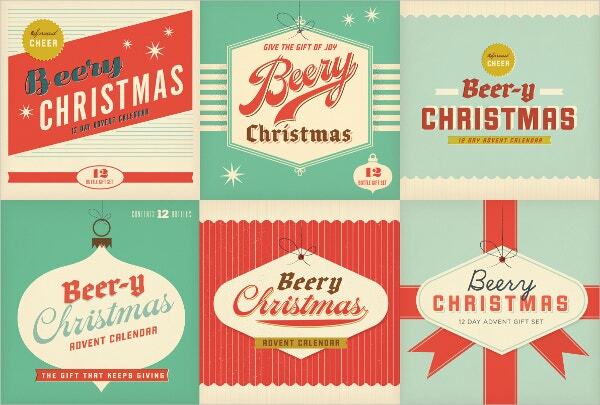 Set of Beer Labels is a set of sixteen beer label designs and logos. They are available in high resolution and in several sizes to fit the need of your design project. They are compatible with Adobe Photoshop so that you can make alterations as per your design requirement. 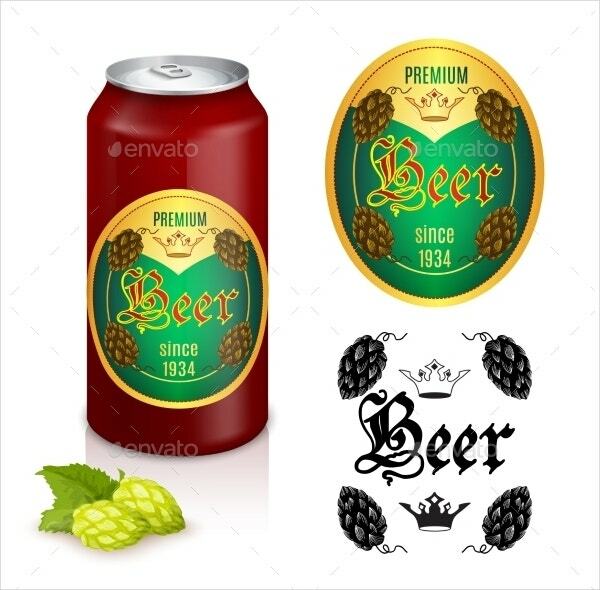 Premium Beer Label Design is a colorful beer label design which is suitable for both beer cans and bottles in equal measures. 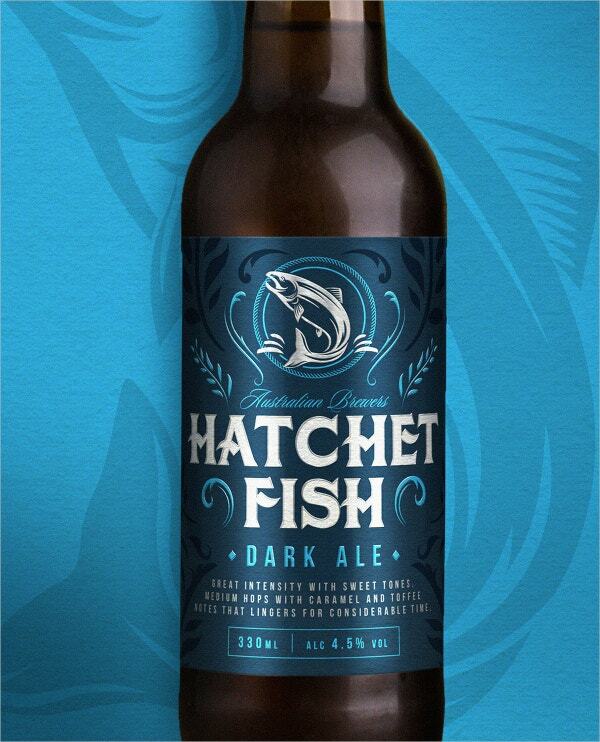 The use of abstract designs and stylish fonts gives this beer label design an attractive look. 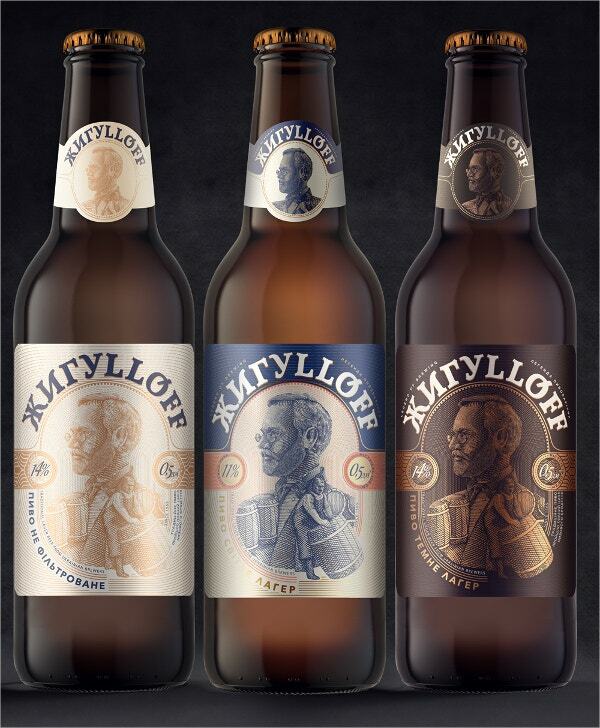 Branding Beer Label Design is a lovely beer label design with a vintage look to it. 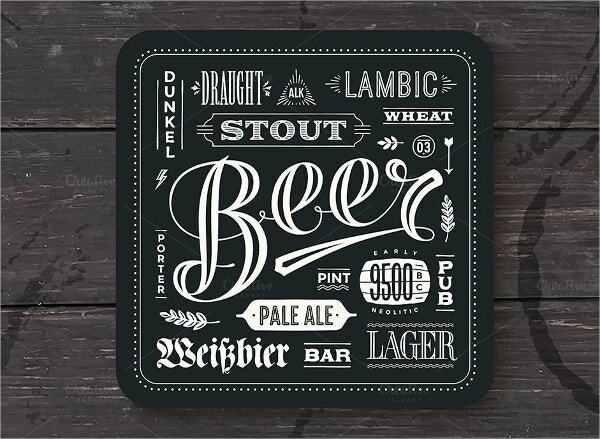 It contains a set of ten premium beer labels and they are editable through Adobe Illustrator and Photoshop. Designers can easily modify and resize these labels without any loss in either quality or resolution. You can even further edit texts and create your own unique label design. 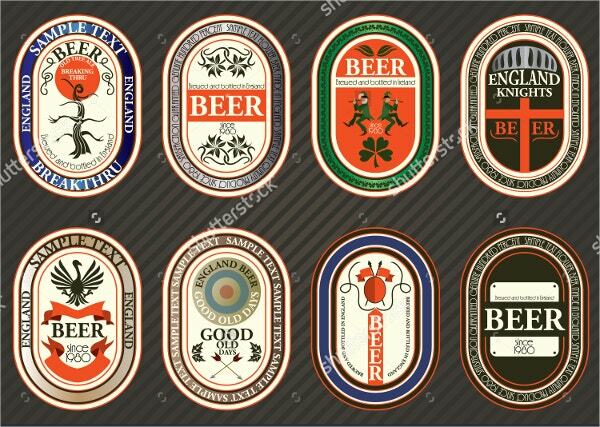 Vector set of Beer Label Templates is a set of eight beer label designs and these designs can be used separately for various design projects. You can modify these labels using either Adobe Photoshop or Illustrator. 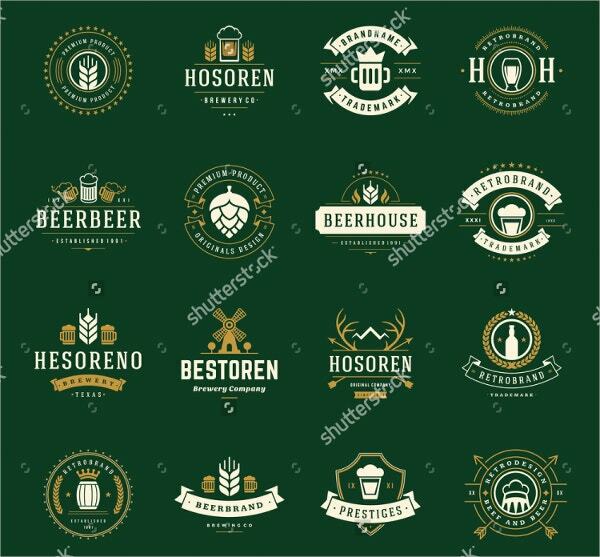 If you are looking for something unique for your design project, you should definitely use this Vector set of Beer Label Templates. 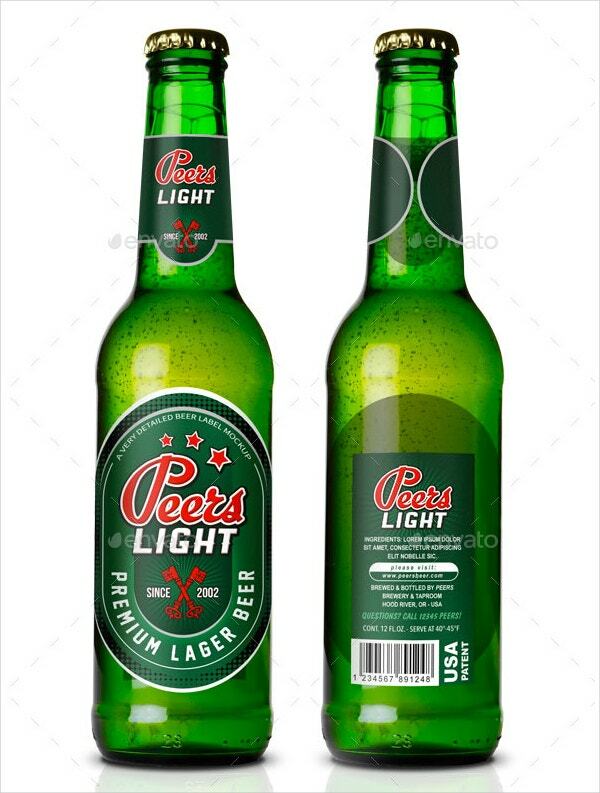 Oval Beer Label Design presents designers with an excellent opportunity to dress up a beer bottle just the way they want through their words and images. 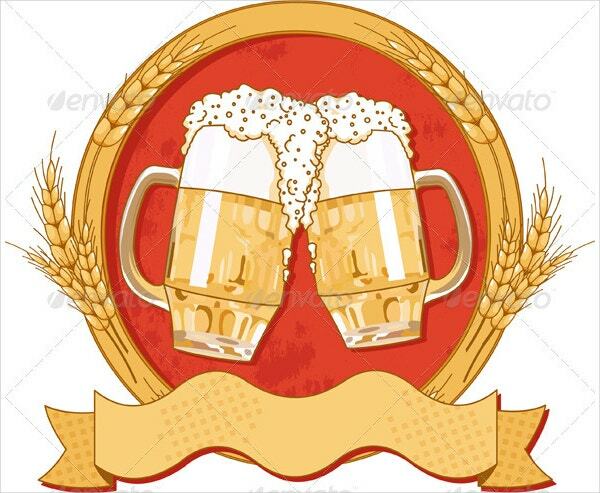 This template contains an image of two full beer glasses colliding with each other and beer spilling from the top of the glasses which enhances its overall look and feel. There is plenty of space available for designers to add text to make it look more presentable. 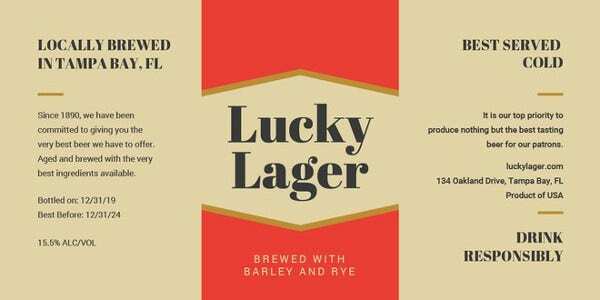 Brewery & Beer Labels is a set of eight premium labels and the kinds of colors and stylish fonts used in these designs are bound to get attention. 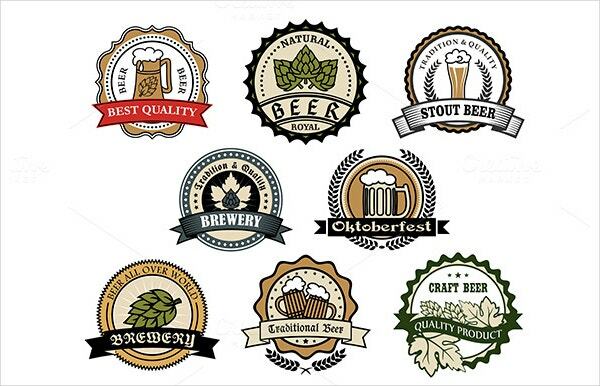 You can even customize these label designs as per your design requirement using Adobe Photoshop or Illustrator. 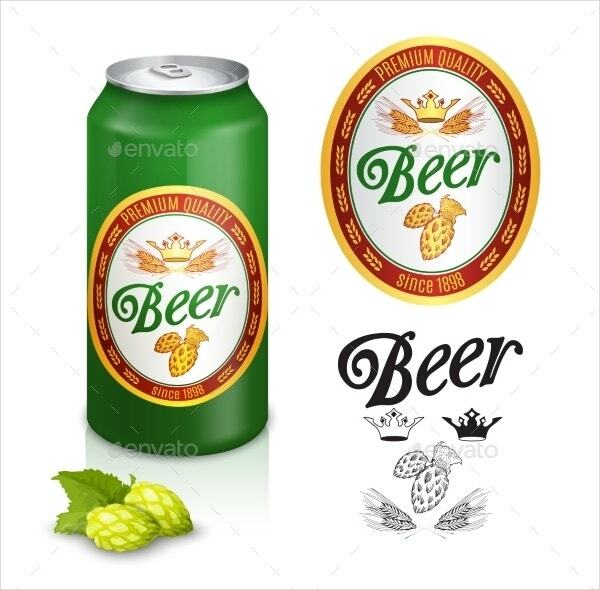 Beer Label Vector Template is an awesome looking beer label design, and this label is available with a high resolution of 300 dpi with CMYK color mode. You can edit texts, colors, etc., using either Adobe Photoshop or Illustrator. 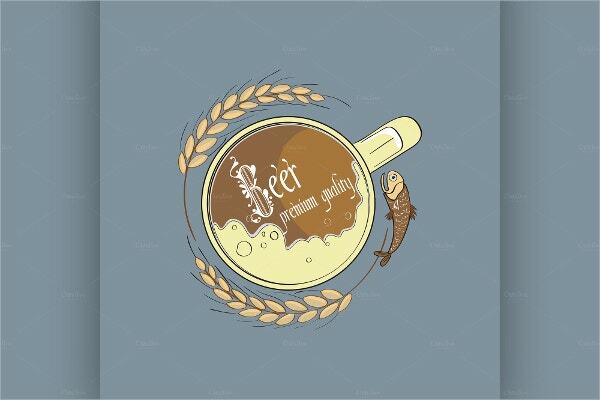 You will get twelve fully layered and customizable PSD, AI, EPS, TIFF and PDF files which will make it easier for you to create a unique label design. 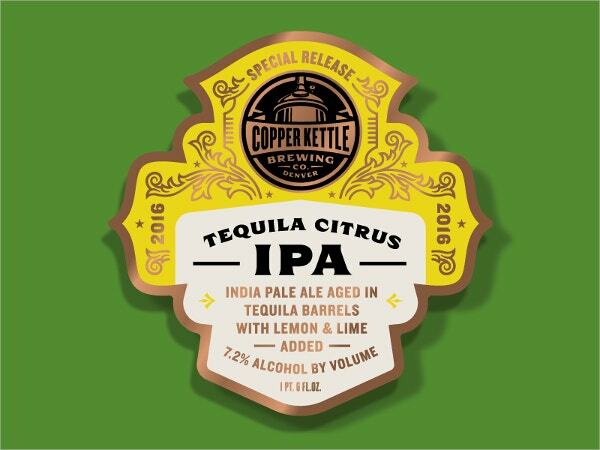 With the beer industry booming and competition being tougher than ever before, creating a remarkable beer label design is imperative to catch customer’s attention. 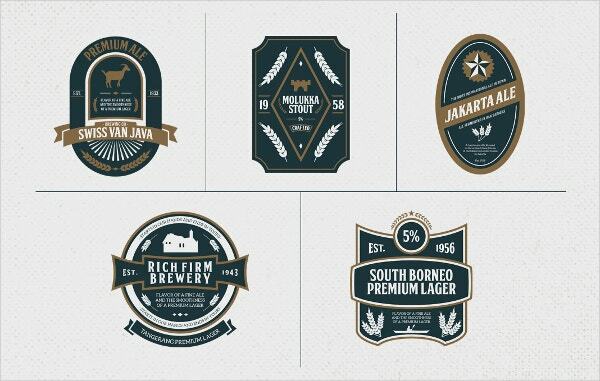 Hopefully, the above-mentioned label designs will inspire you to come up with unique label designs.